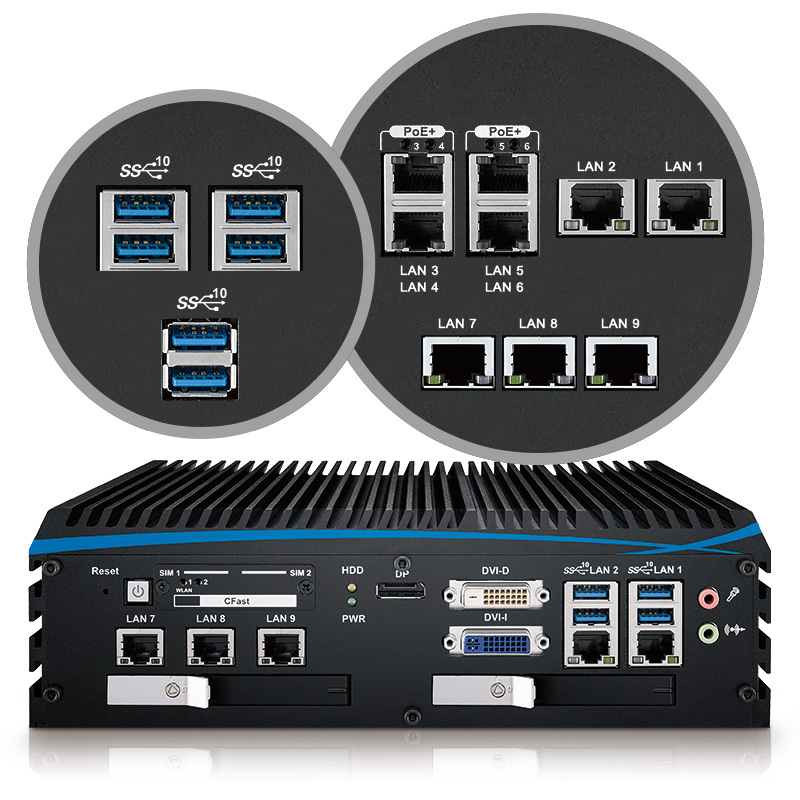 Vecow Co., Ltd., a team of embedded experts, launches the latest workstation-grade embedded system with 8th Generation Intel® Coffee Lake platform, ECX-1000 Series Fanless Embedded System. 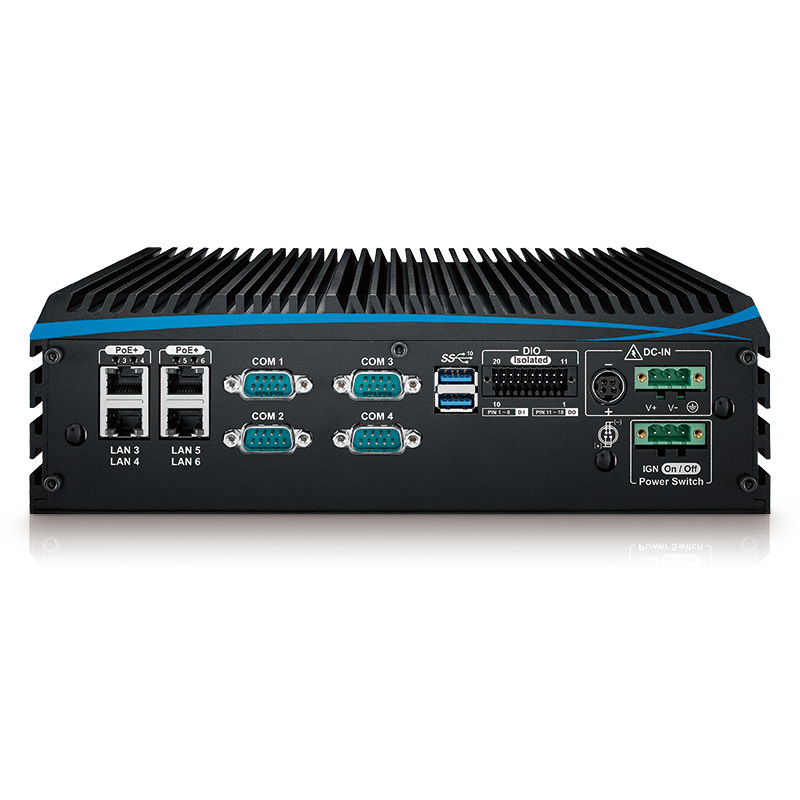 An all-in-one integrated features, Vecow ECX-1000 Series Fanless Embedded System is your new generation choice for Machine Vision, Intelligent Automation, Smart Manufacturing, Intelligent Surveillance, Vehicle Computing, Robotic Control, and any Artificial Intelligence oriented real-time Industrial IoT or Industry 4.0 embedded applications. It has LGA1151 Socket, which supports workstation-grade 6-core 8th Generation Intel® Core™ i7/i5/i3 processor (Coffee Lake-S) that run with the latest generation Intel® workstation-grade chipset. With dual channel DDR4 2666MHz, it can store up to 32GB ECC memory. On top of that, it has Advanced Intel® UHD Graphics P630/630 supporting DirectX 12 API, onboard VGA, DVI-I, DVI-D and DisplayPort display interface for Ultra HD 4K resolution. 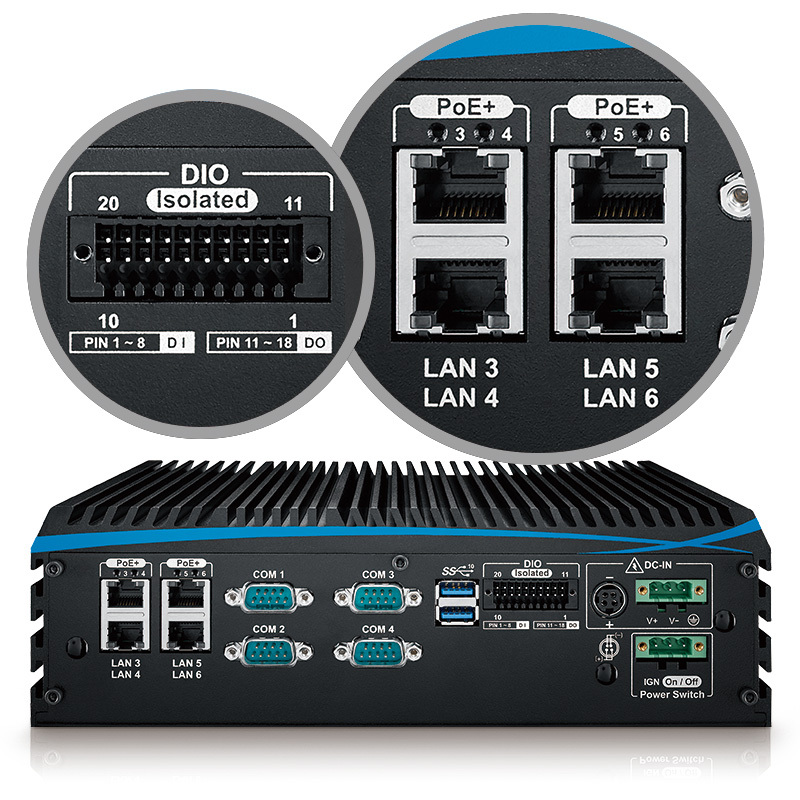 ECX-1000 delivers new generation CPU & chipset performance, power efficiency, and graphics performance; 10GigE (10Gbps), USB 3.1 (10Gbps), PCIe 3.0 (8GT/s), Multiple SATA III (6Gbps), USB 3.0 (5Gbps), PoE (1Gbps) LAN and multiple wireless connections make seamless real-time high-speed data conveying possible. 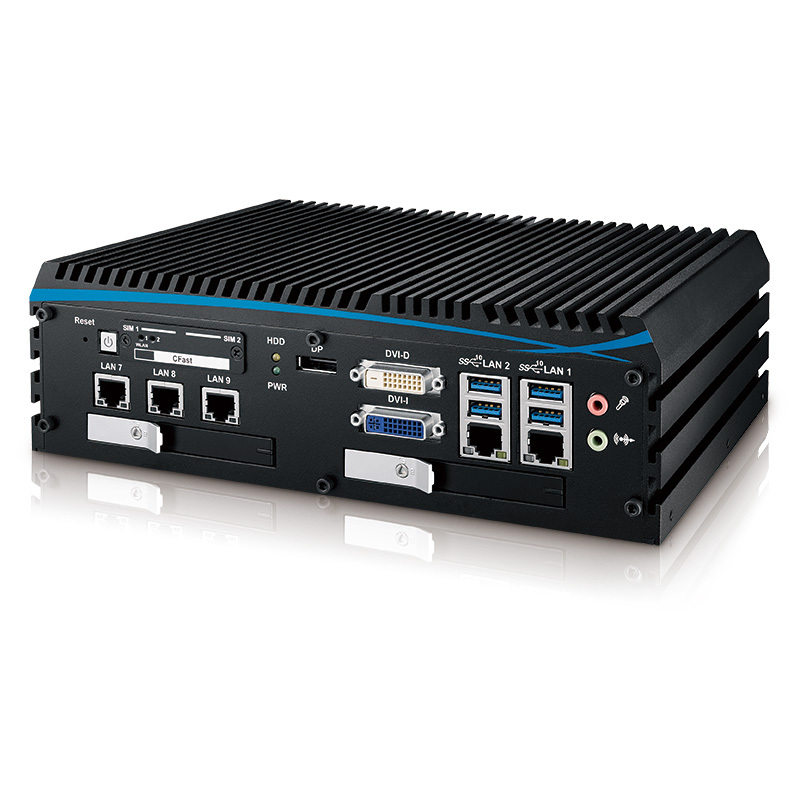 Vecow ECX-1000 Series Fanless Embedded System delivers outstanding system performance and power productivity for demanding workloads in real-time mission critical embedded computing applications. Vecow ECX-1000 Series Fanless Embedded System serves new-generation compact integrated functions for any AI-oriented embedded applications. “ECX-1000 is really an important milestone for Vecow.” said Hugh Hsu, Product Manager, Embedded System & Platform Division, Vecow. 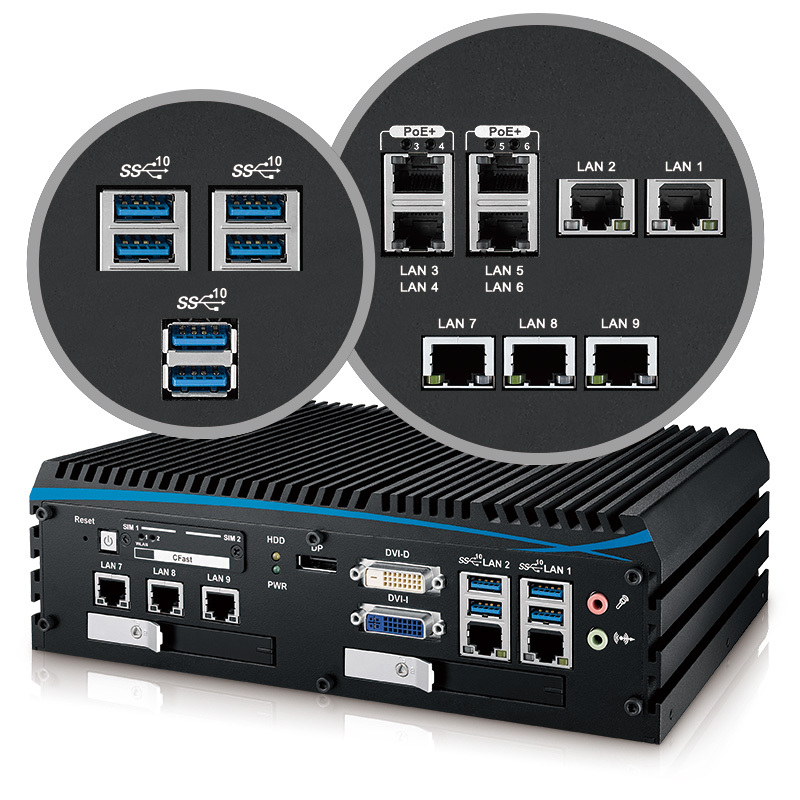 With outstanding system performance, leading integrated features, smart manageability, flexible mobile availability, secure power protection and rugged reliability, Vecow ECX-1000 Series Fanless Embedded System is your great solution for Machine Vision, Intelligent Automation, Smart Manufacturing, Intelligent Surveillance, Vehicle Computing, Robotic Control, and any Artificial Intelligence oriented real-time Industrial IoT or Industry 4.0 embedded applications. Get our latest updates and products. © 2017 LINX SINGAPORE. All Rights Reserved.